Our product range includes a wide range of annealed spring steel strips and cold annealed steel strip. We offer a wide range of thisC55 Grade Annealed Steel Strip which is highly demanded for special features like rigid construction, high tensile strength, and optimum performance. Our range is offered in compliance with international quality standards, which helps in meeting the requirements and demands of our clients. They are easy to install and are used for various applications across different industries. Our company is considered a celebrated name that proffers Cold Annealed Steel Strip. 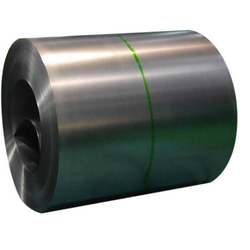 The proffered selection is manufactured by rolling of strips produced by the hot strip mills. Owing to the excellent surface finishing, sturdiness and thickness tolerance, the proffered selection is massively sought after. These are vastly demanded Appliances, Automobiles and Agricultural tools as well. Looking for Annealed Steel Strips ?